(VOVWORLD) - In 2020 Vietnam will take over the rotating ASEAN Chair and will likely become a non-permanent member of the UN Security Council in the 2020-2021 term. The positions will create opportunities for Vietnam to work with ASEAN countries to promote regional programs under the UN agenda to ensure global peace and sustainable growth. Vietnam fulfilled its role as ASEAN Chair in 2010 and a non-permanent member of the UN Security Council in the 2008-2009 term. Over the past 10 years, Vietnam’s greater involvement in global issues has helped raise its international status. In advance of holding the posts again, Vietnam is prepared to demonstrate its stance and the shared view of ASEAN to provide the UN a larger perspective of the regional situation amid complicated changes around the world. The world is facing new challenges. Increasing unilateral actions to settle disputes is threatening world peace and stability. In becoming a non-permanent member of the UN Security Council and ASEAN Chair in 2020 Vietnam needs to deal with problems promptly, balance interests between nations regionally and globally, contribute to global issues, and proactively help to abate conflicts. 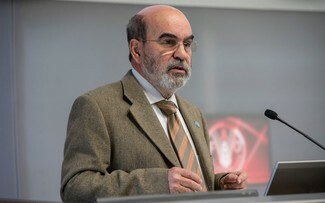 Shahriman Lockman of Malaysia’s Institute of Strategic and International Studies said: "The overlapping membership at the UNSC plus the ASEAN Chairmanship for Vietnam will put a heavy weight of responsibility on the shoulder of Vietnam making use of its experience from history of war and conflict to current tension in the East Sea to respecting international law of the Sea. Vietnam has and can be a skillful player of conflict prevention, conflict solutions, and post-conflict management." With its experience in holding the two posts ten years ago, international experts expressed their belief that Vietnam will fulfill its tasks. Former Indonesian Foreign Minister Marty Netalegawa said: "Vietnam, ever since it joined ASEAN, has become very much, not only a member of ASEAN, but also a key member of ASEAN. 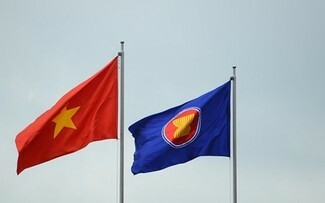 Vietnam will really take leadership of ASEAN in 2020 and have propelled it to an even higher level of cooperation. This is the very timely initiative. 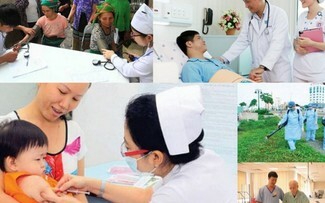 The government of Vietnam has prepared to take the chairmanship in 2020. 2020 will be significant because Vietnam will also plan to be a member of the UN Security Council as well." Vietnam will uphold its pursuit of global peace and prosperity and its foreign policy of peace, independence, and self-reliance when it becomes ASEAN Chair and a non-permanent member of the UN Security Council in 2020 if elected.